Yes, all the works I’ve been painting in June like a mad woman I just put up at this small gallery space in downtown Reykjavik. So if you are around and feel like dropping by you are more than welcome. The paintings will be on display at Kingdom Withing Tattoo Studio and Gallery, Skólavörðustígur 24, 101 Reykjavík from September 1st to September 23. Opening times are Mo – Fr, 10 – 5pm. 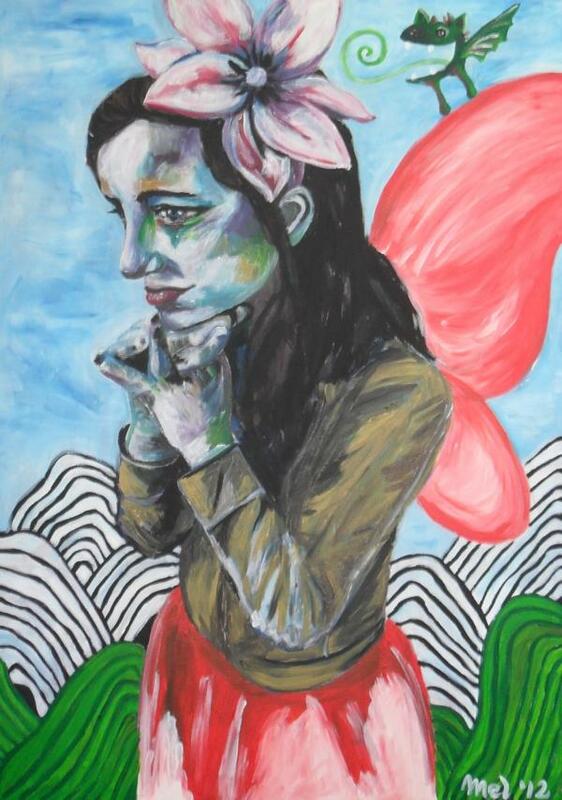 Very nice painting here – unusual look for a faery! A little edgier to me. Good luck on your showing!